No more waiting in long lines for Washington State DOL tests! Check the “WA State Testing” tab below! 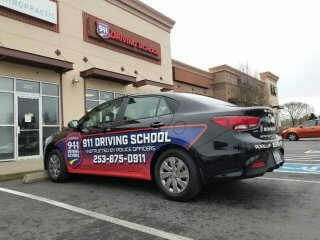 We are a Washington State Approved Testing Location! We offer both the Road (Skills) Test and the Knowledge (Written) Test on a walk-in and appointment basis. You can register for an appointment under the testing tab below or by calling our office. Please remember to bring your Washington State DOL PIC number along with proper identification as outlined by Washington State DOL. Apply for your DOL PIC number. NEW: Private Driving Lessons have been upgraded!! When registering for this bundle package, you will receive three 1-hour driving lessons with an instructor plus a warm-up and road test in our vehicle. Price $295. Road Test (Customer Vehicle) 1 WA State Road Test conducted in your vehicle.